Where Is the Nucleus Found in the Cell and Why? Connective tissues are specialized tissues, which provide support and hold the body’s tissues together. Connective tissue is made up of a small fraction of cells and a majority of extracellular substance which keeps the cells separated. The two types of cells found in connective tissue include fibrocytes (or fibroblasts) and fat cells, which are fixed cells. Additionally, the extracellular substance separating the cells is made up of three types of fibers, including collagen fibers, reticular fibers and elastic fibers. Cartilage is a type of supporting connective tissue. Cartilage is a dense connective tissue, consisting of the chondrocyte cells. Cartilage connective tissue includes hyaline cartilage, fibrocartilage and elastic cartilage. The fibers in the cartilage connective tissue include collagen and elastic fibers. Cartilage connective tissue has limited ground substance and can range from semisolid to a flexible matrix. Bone is another type of supporting connective tissue. Bone, also referred to as osseous tissue, can either be compact (dense) or spongy (cancellous), and contains the osteoblasts or osteocytes cells. Bone connective tissue is made up of collagen fibers and has rigid, calcified ground substance. Adipose is another type of supporting connective tissue that provides cushions and stores excess energy and fat. It contains reticular cells and is made up of reticular fibers. The extracellular substance of adipose connective tissue is made up of a tight pack of cells with a small amount of gelatinous ground substance. Blood, also referred to as vascular tissue, is a type of fluid connective tissue. Blood connective tissue contains three types of cells including erythrocytes, leukocytes, and thrombocytes. The fibers found in blood connective tissue are soluble proteins that form during clotting and the extracellular substance making up blood connective tissue is the liquid blood plasma. Hemapoetic or lymphatic connective tissue is another type of fluid connective tissue. 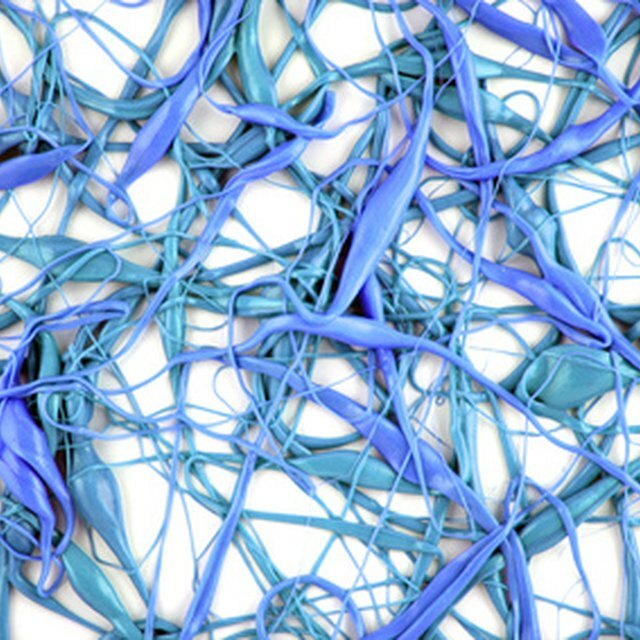 Lymphatic connective tissues are responsible for the manufacture of all the blood cells and immunological capability. It contains leukocytes cells and is made of fibers which are soluble liquid proteins that form during clotting. The extracellular substance of hemapoetic tissue is blood plasma. Elastic connective tissue helps maintain blood pressure and promotes normal exhalation. Elastic connective tissues consist of chondrocytes cells and are made up of elastic fibers. The extracellular substance of elastic connective tissue is composed of limited ground substance and is structured in a flexible, but firm matrix. The fibrous connective tissue functions to provide strength to the inner layer of skin and strength, allowing it to handle forces of joint movements. Fibrous connective tissue contains fibroblast cells and is made up of fibrous fibers. It is a dense connective tissue, with its extracellular substance consisting of parallel or irregularly arranged bundles of fibers with few cells and little ground substance. Based in California, Taruna Chhabra has been writing general knowledge and science-related articles for various websites since 2010. Chhabra holds a Master of Public Administration and a Bachelor of Science in biology from the University of San Francisco. What Are the Specialized Cells That Make Up Vascular Tissue? Chhabra, Taruna. "7 Types of Connective Tissue." Sciencing, https://sciencing.com/7-types-connective-tissue-8768445.html. 13 March 2018. What Are the Six Types of Connective Tissue in Biology?